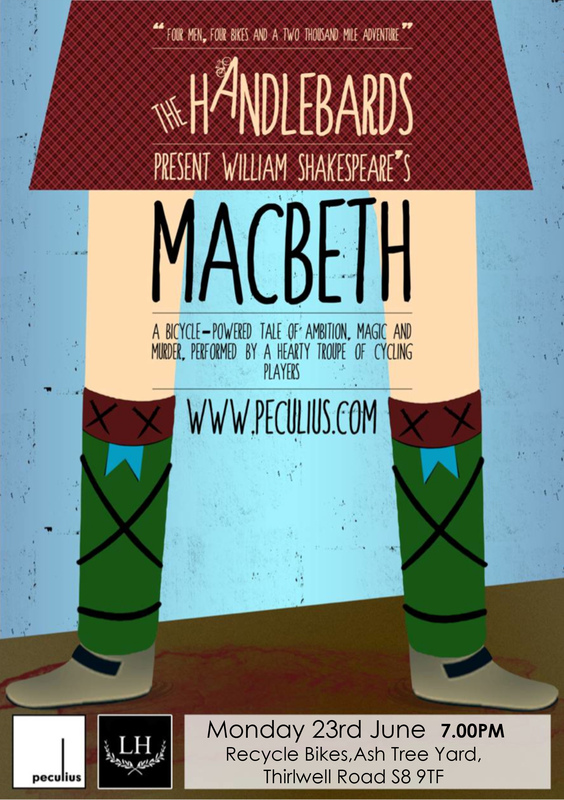 William Shakespeare’s Macbeth by The Handlebards @ Recycle Bikes, Mon 23rd June – 7pm | IT'S HAPPENING IN HEELEY! 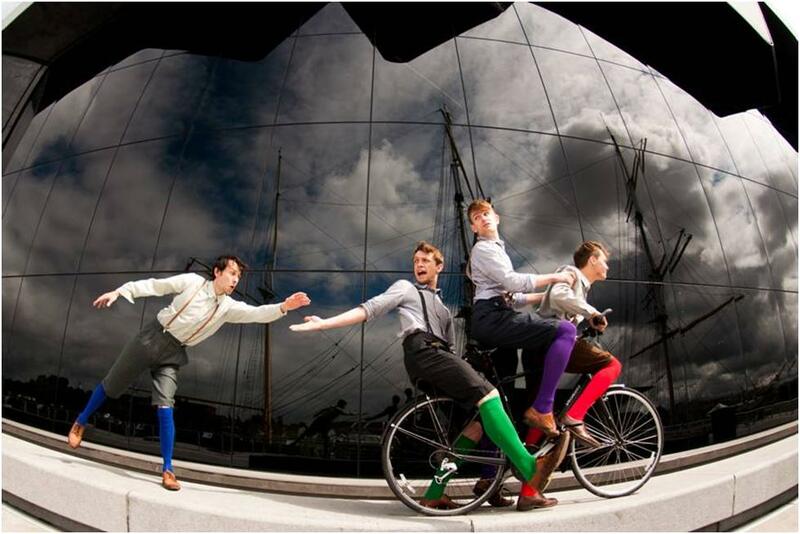 Alternative theatre troupe HandleBards will be performing a pedal-powered version of Shakespeare’s ‘Macbeth’ at ReCycle Bikes on Monday, 23rd June as part of a three month European Tour. Callum Brodie, Callum Cheatle, Tom Dixon and Paul Moss will be carrying all the required set, props, costumes and camping equipment across thousands of miles on four bikes, passing through 60 venues including the Edinburgh Fringe, the Grand Depart of the Tour De France and The Dell in Stratford-upon-Avon. Formed by London-based theatre company Peculius, the HandleBards use their bikes to power various on-stage contraptions, turning recycled items scavenged from camp-sites into set design and broken bike parts into on-stage props. The four actors will play all the parts in ‘Macbeth’, which has been updated by director James Farrell to the 1930s, and will be looking for enthusiastic members of the audience to join the performance. The show starts at 7pm. Entrance is free, with donations gratefully accepted.